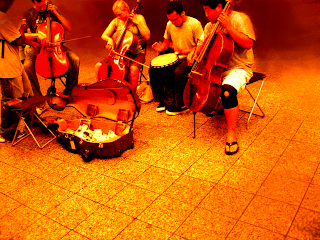 Today saw a very nice perform in the subway station!! the name of this music band is BREAK OF REALITY I really like their music style, It's heavy but at same time is soft...I fancy the combination of the violin and the african drum, a exotic fusion of two instrument!! very nice.